Hurry into today to check out our Ram Truck Month event and find the Ram offers you have been looking for on many of the Ram trucks in our inventory! 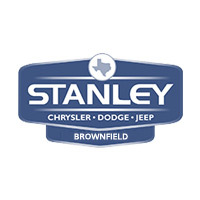 Wondering about which Ram truck deals you qualify for? Contact us today and ask to speak with one of our qualified finance professionals before Ram Truck Month comes to an end! If you have been looking for a light-duty pickup truck that delivers confidence and competence on and off the road, the Ram 1500 truck is for you. This vehicle is perfect has the kind of payload, power, and handling prowess you want from a versatile, everyday pickup truck. Be sure to contact us today to schedule a test drive! Another great vehicle is our Ram 2500. The rugged power of a Ram truck meets the comfort of a luxury interior. Ram designed the Ram 2500 with the comfort of our passengers in mind, giving every surface the utmost attention to detail.Ram Heavy Duty trucks are built to last for years to come, having endured upwards of 40,000 hours of intense vehicle system testing in the harshest scenarios on and off the road. Proven power and rugged capability combine to keep your truck going for as long as you do. Make sure to stop in soon, as you don’t want to miss this event. We look forward to seeing you soon!